Dr Mehrabi did a great job explaining before, after and during the procedure. The work was done quickly and well. I especially appreciated that Dr Mehrabi himself called the next day to see how I was doing. I was referred to Dr. Meyers for an extraction and implant. He made the best of a bad situation. His skill set is second to none and his bed side manner instills complete confidence and even a smile. He is compassionate and handled my fear with such kindness. He even called me at home after my procedure to make sure all was well. I’d recommended him and so will you! Dr. Oladubu is great! Removed both of my impacted wisdom teeth and didn't feel a thing! Thanks for the great care! Dr. Meyers: You have a gift! Thanks for making my (unfortunate) visit very comfortable and painless. And my thanks to your amazing assistant, Joanie, also!! But seriously, I hope I never need your services again. (ha-ha). Thanks again for the great care!! I am so happy with the service I got at Advanced Dental. I needed all 4 wisdom teeth removed, you could say I was a little nervous when I came in. All that quickly melted away when I got to my room. My nurse was so nice and understanding and tried to keep my mind off of what was going on when the dentist started the numbing shots. I had DDS Christopher J. Meyers who was so nice, the whole time throughout the operation they were both checking in with me to make sure I was okay. I didn’t feel a thing and felt safe the whole time! I would strongly recommend anyone who is nervous to get them done to come here, what service! 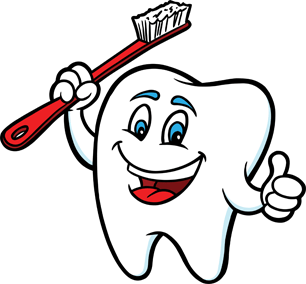 The staff is helpful and as much as I hate "dentist appointments", I leave there happy!! I was so impressed with the Dr. Oladubu and Andrea-dental assistant, within less than 1/2 hour I had 3 teeth pulled, no pain, no swelling at all. Very professional and friendly. Loved this place! I had three wisdom teeth removed by Dr. Chris Meyers, and could not have imagined a better experience. I was very nervous to have the procedure done without sedation, and Dr. Meyers made me feel comfortable and relieved by explaining the whole process in advance, and ensuring me that his goal was to make sure the procedure was done efficiently and with the least pain possible. During the procedure, he explained each step, and continuously made sure I was calm, pain-free, and comfortable. With humor, professionalism, and expertise, Dr. Meyers did a wonderful job, and I would highly recommend him. The whole staff at Advanced Dental Specialists were fantastic throughout my entire experience. Thank you! Dr. Oladubu and his staff are AWESOME! The positive attitude and professional demeanor of the whole staff, helped me feel at ease. If I ever need their services again, I'd never go anywhere else. I've had prior teeth extracted by less than skilled dentists. Now, I've found the best. Dr. Meyers is the most understanding, straight forward, caring, and has a great sense of humor to calm anyone's anxiety/nerves. Dr. Meyers you are an amazing man with much knowledge and wisdom within your profession.. Thank you!!! Dr Meyers was extremely comforting and professional. I do not enjoy dental visits in general but he made the experience very easy to get through. Very knowledgeable and explained everything that was going on - that was the most assuring part of the visit. Thanks again. I typically visit a standard dentist office for my dental needs; however, I had an issue I felt was not being addressed. After seeing Dr. Sharma, he found the cause of my tooth discoloration and was able to address with a root canal. Having previous experience with root canals, I was very nervous as I have a low tolerance for pain. Dr Sharma was exceptionally gentile and communicated with me continuously to ensure I was comfortable. His ability to diagnose an issue not found by others proves his remarkable experience and is only matched by his devotion to ensure his clients leave satisfied. Highly recommend Dr Sharma! Dr Sharma is an awesome doctor! I had to have an apiocotomy and was very nervous. Dr Sharma talked me through the whole thing and explained everything. His bedside manner is something you do not see everyday. I would definitely recommend him to anyone that needs an endodontist. He made me feel very comfortable. Root canals on 2 teeth was performed by Dr Sharma. Words cannot express how well the procedures were completed by this young, kind, and gentle endodontic dentist. Friends that have had root canals (in the past) were totally impressed how well I did and I was able to sing with our funeral choir the following day. Dr Sharma rates very highly in my opinion - not only his skill but his considerate care and concern for me as a patient. This place was awesome. Everyone was very friendly and made me feel at ease. My sister and I just got our wisdom teeth removed there yesterday. The oral surgeon, Dr. Christopher Meyers was really nice and had a good sense of humor. You could tell everyone there likes their jobs because they were all in such a good mood. I had a bad tooth removal experience five years ago somewhere else; so I was very relieved at how much different this place was. I would recommend them to anyone. Everything went so smooth and I am not scared of teeth removal anymore! My sister had a good experience as well. Thanks guys!